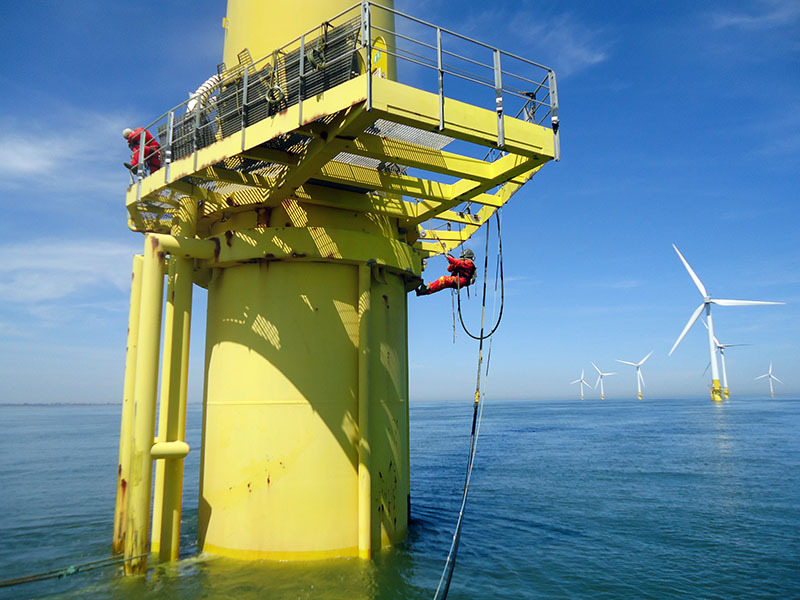 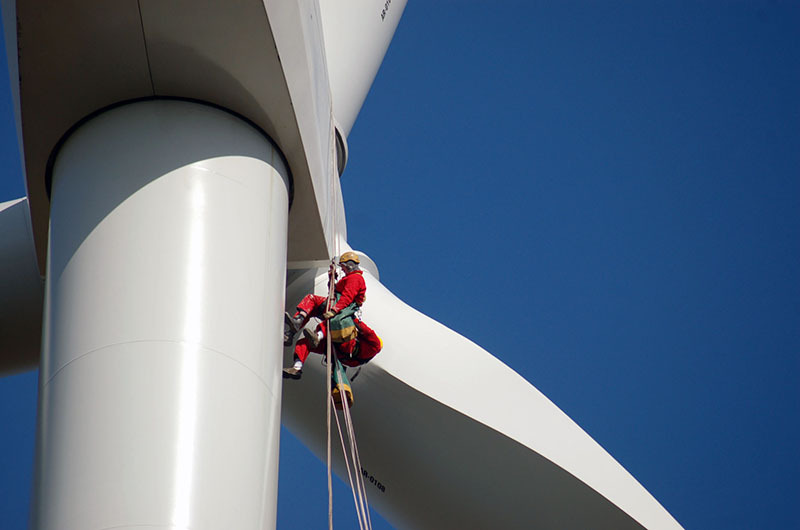 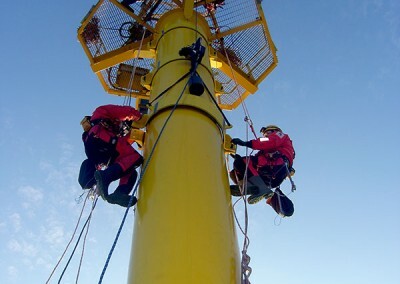 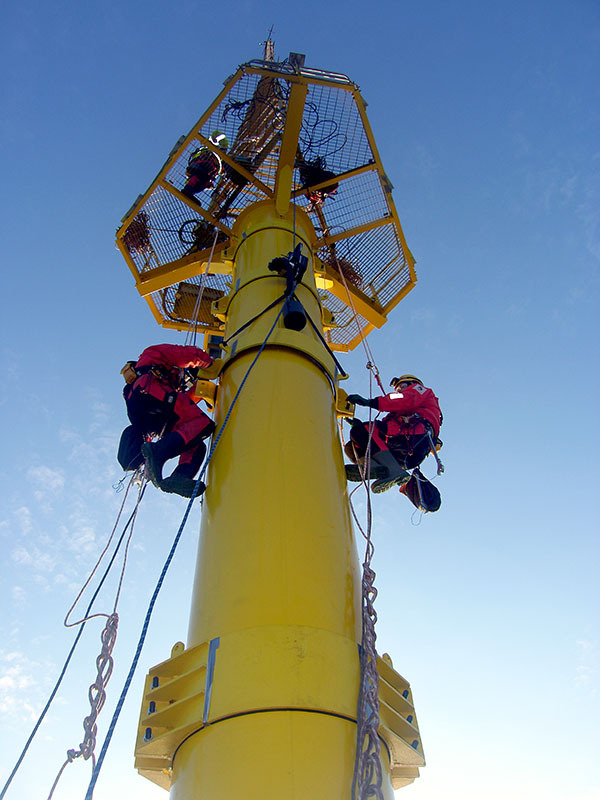 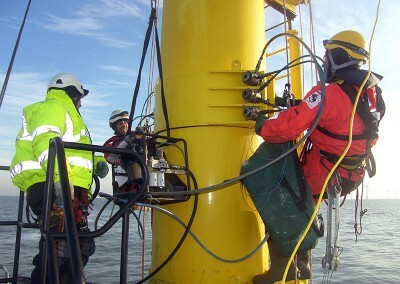 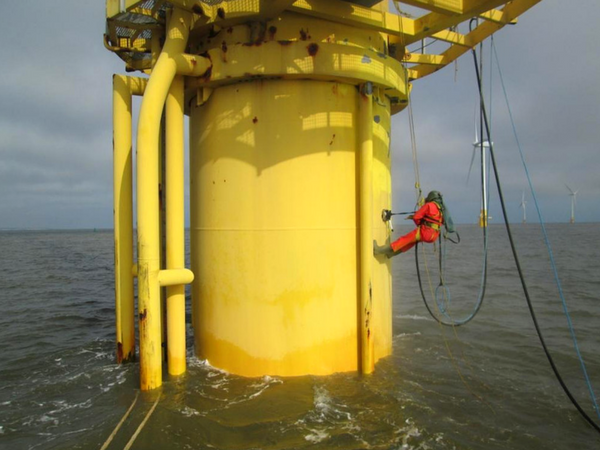 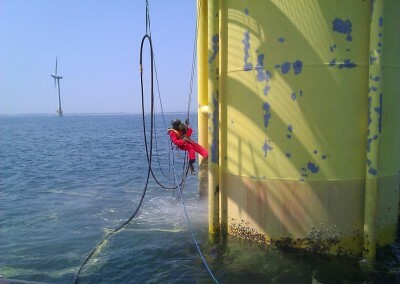 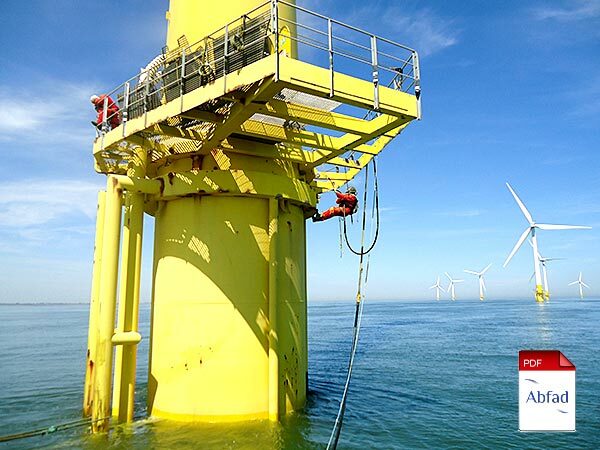 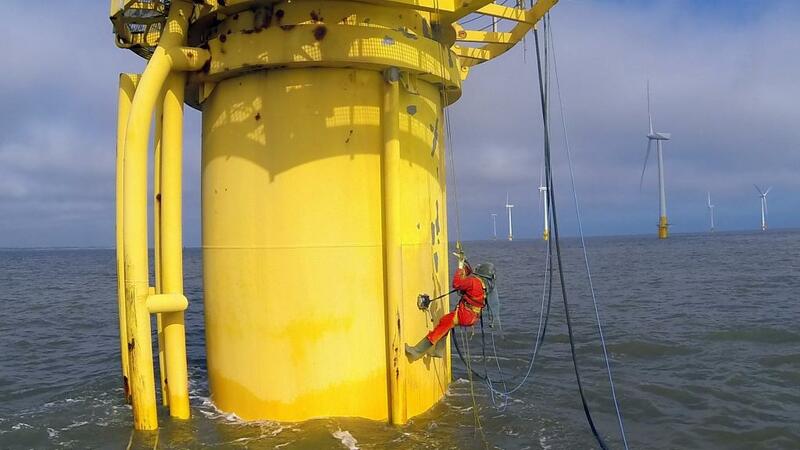 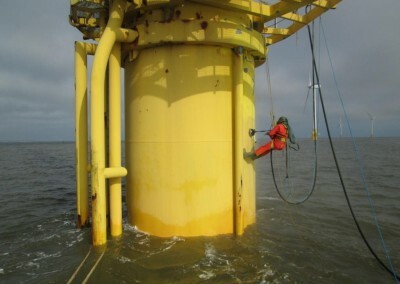 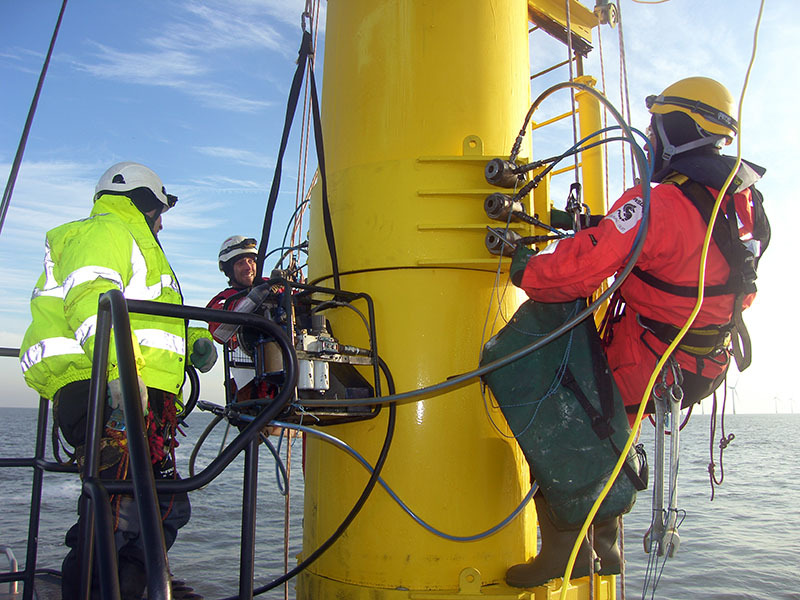 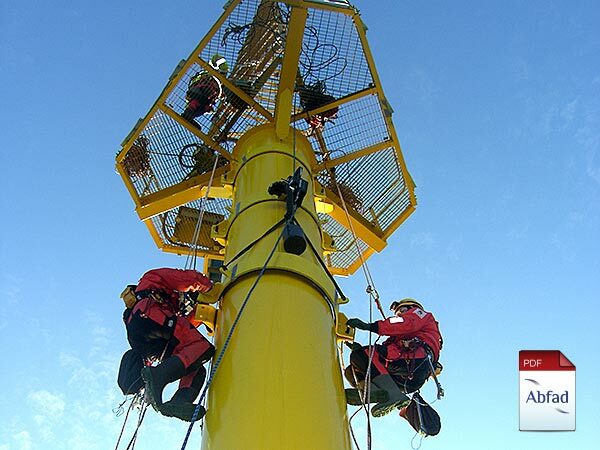 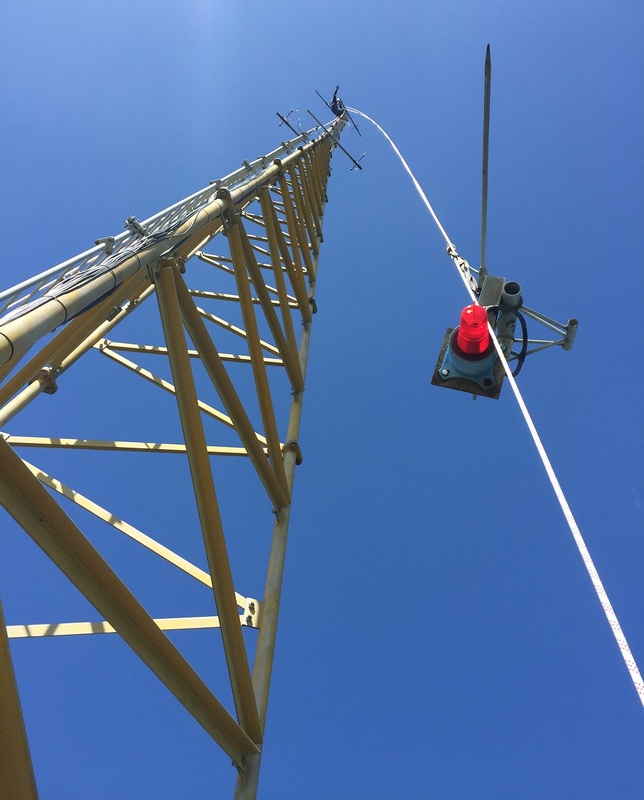 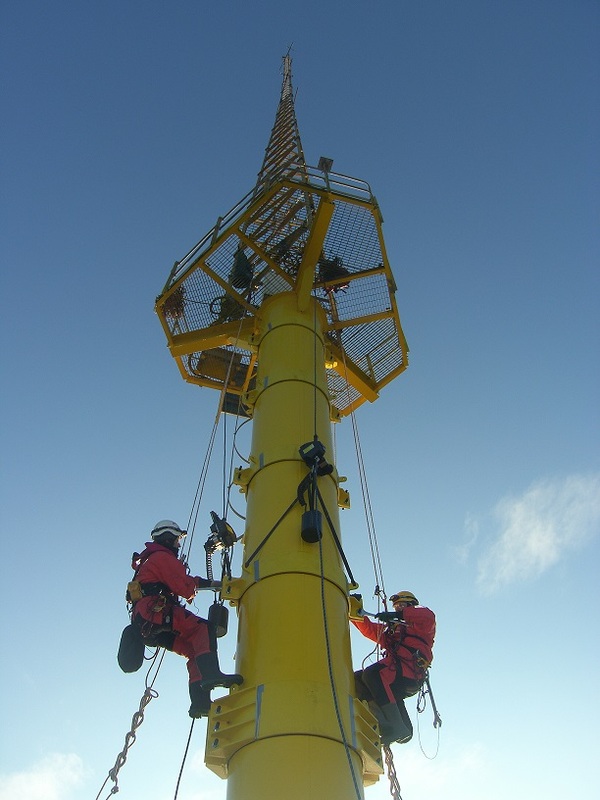 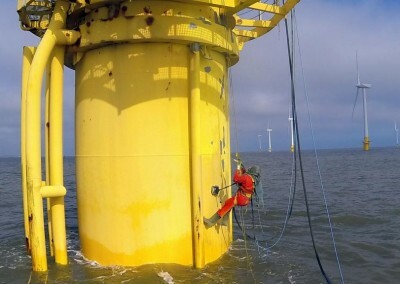 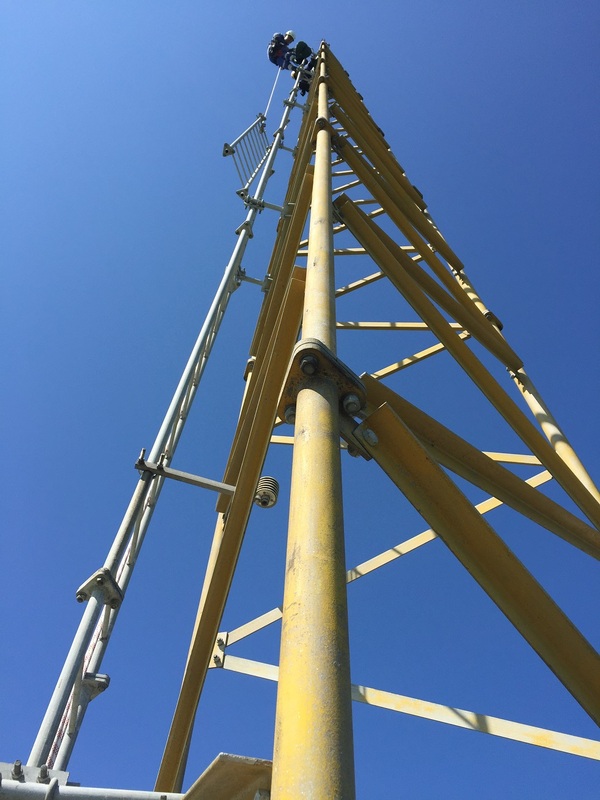 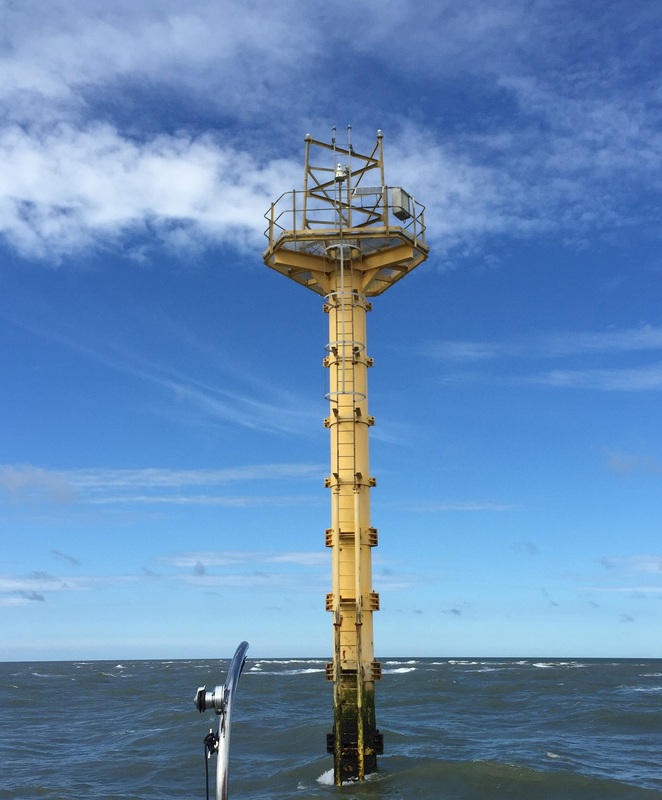 We can provide you with rope access specialist teams to provide maintenance works and specialist coating services on onshore and offshore wind turbines. 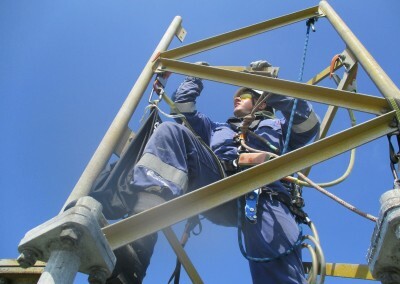 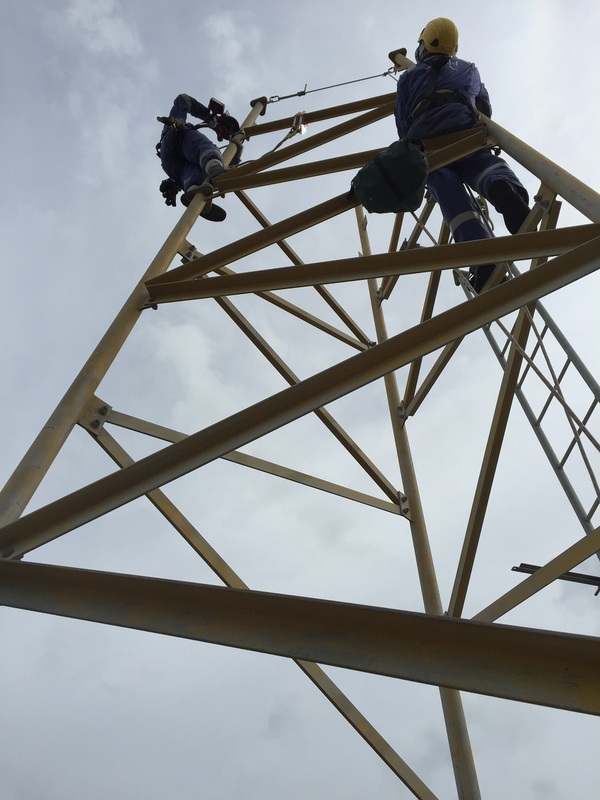 All our rope access technicians are IRATA trained. 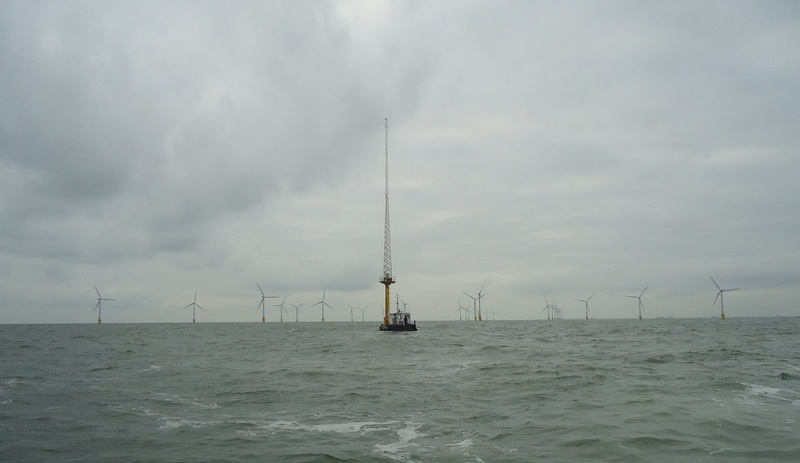 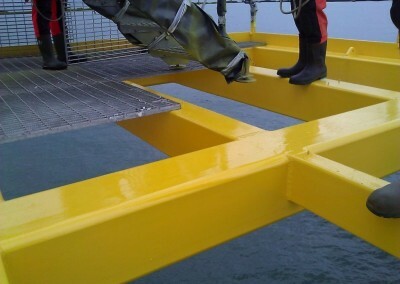 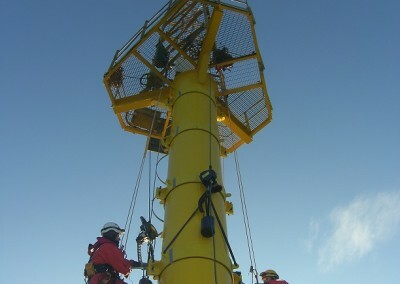 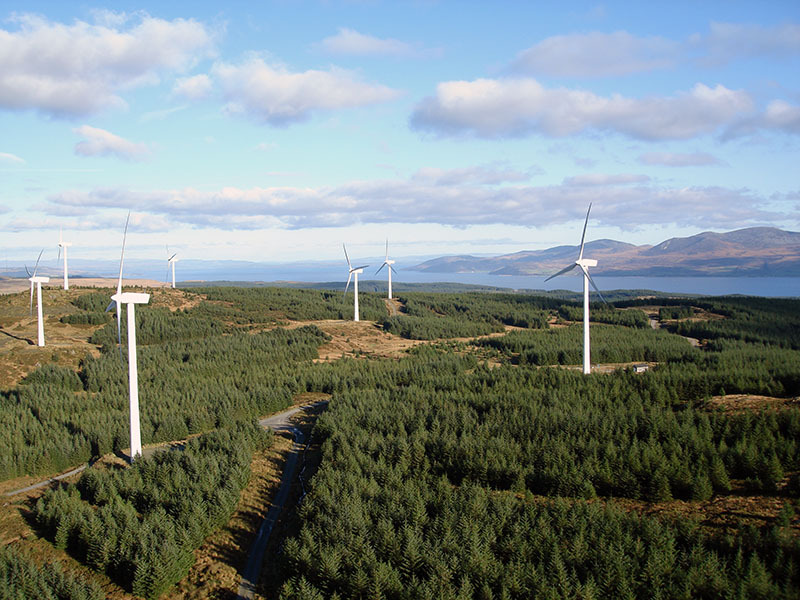 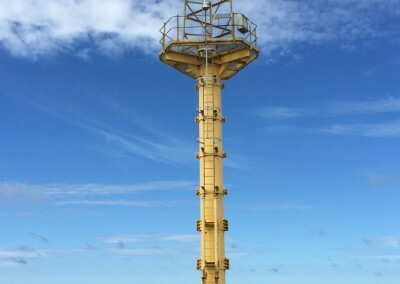 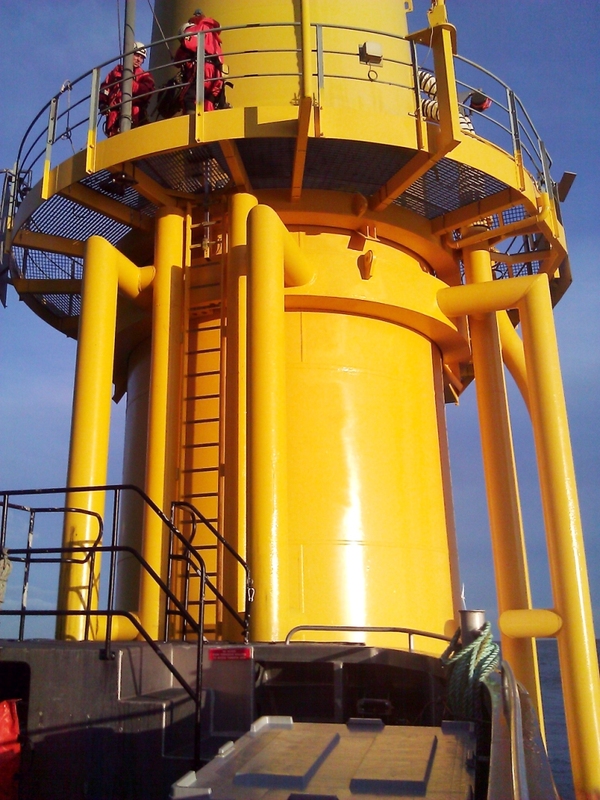 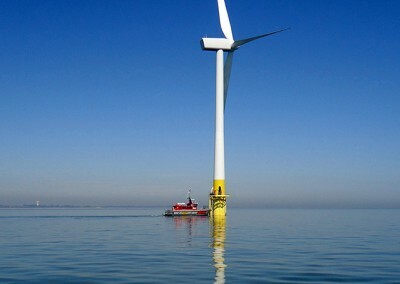 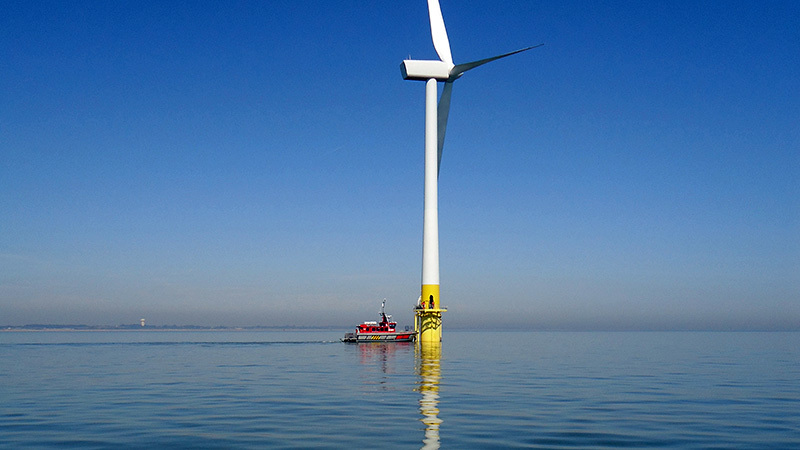 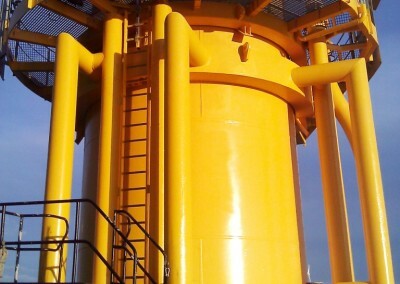 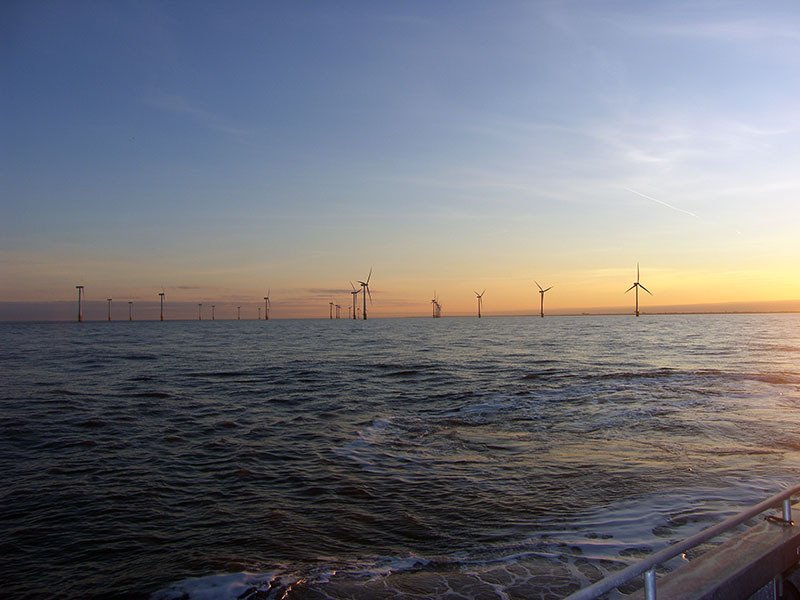 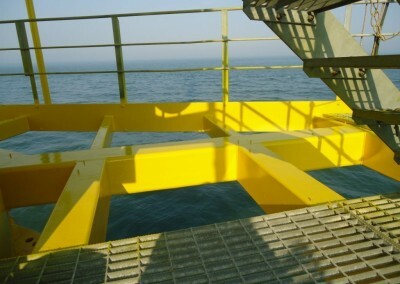 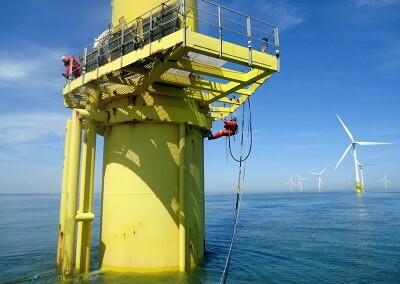 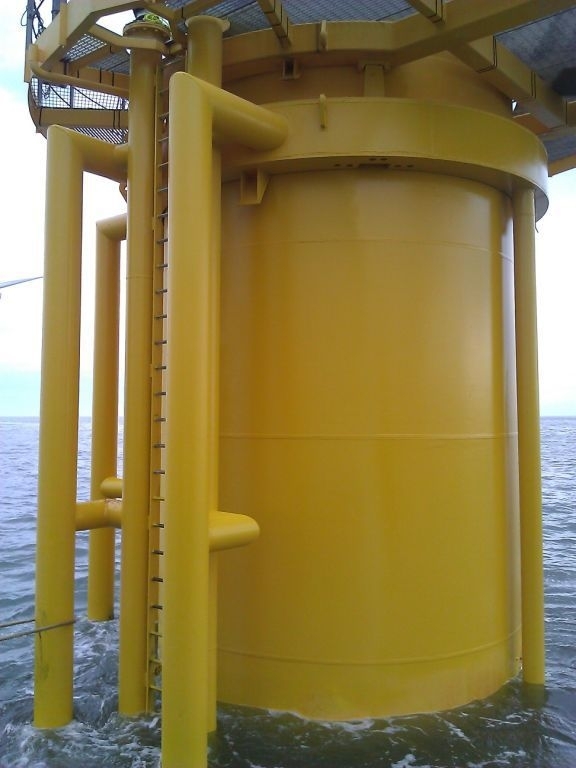 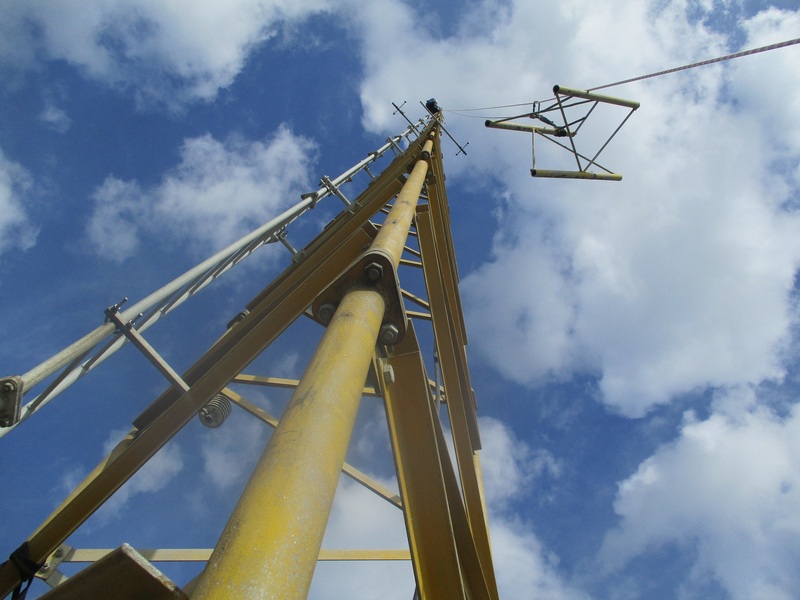 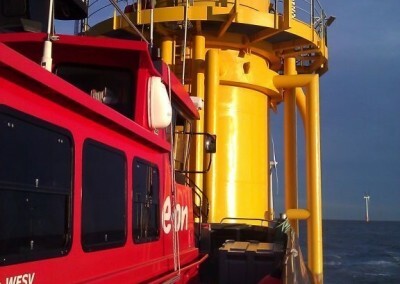 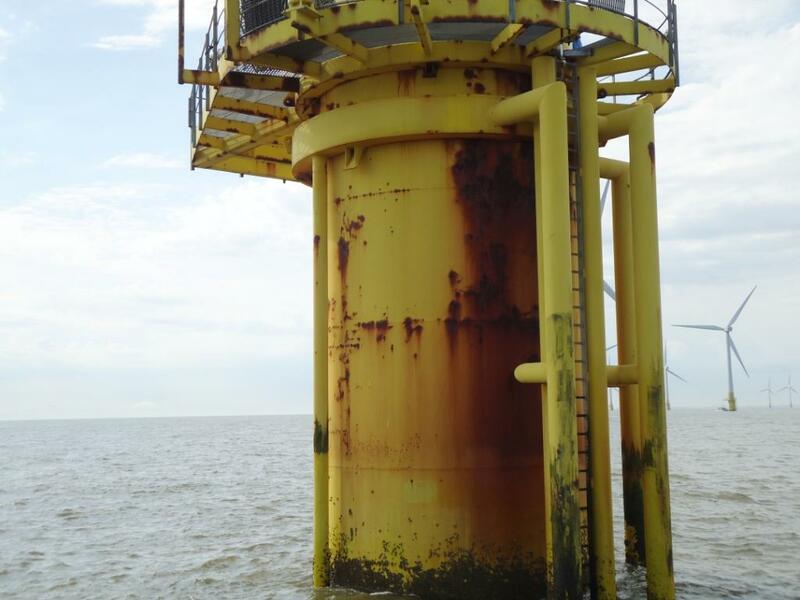 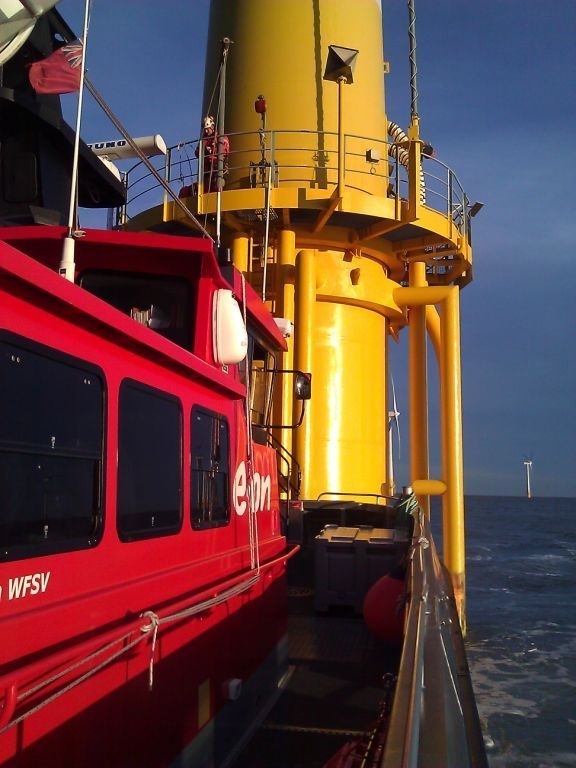 We provided specialist coating work on the first commercial wind farm. 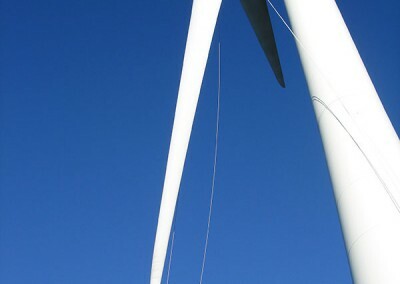 Wind turbines are subject to complex systems of variable loads; this makes them particularly susceptible to the damage caused by fatigue and cyclic loading. 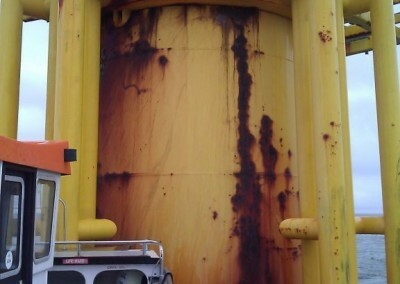 Once initiated, this damage will continue to worsen until complete failure occurs. 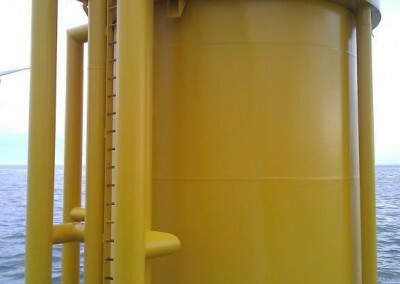 Either due to stress from the damage exceeding the ultimate strength of the material, or the damage reaches severe levels and a critical crack fracture forms. 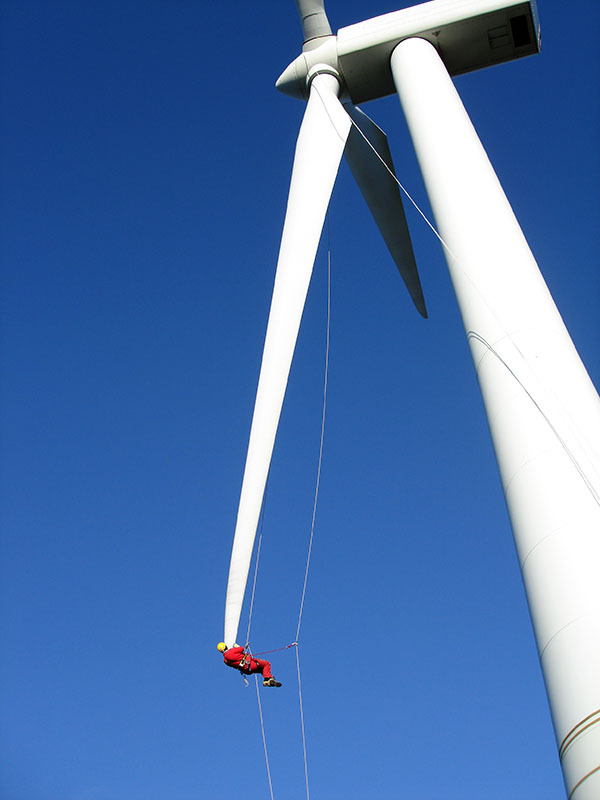 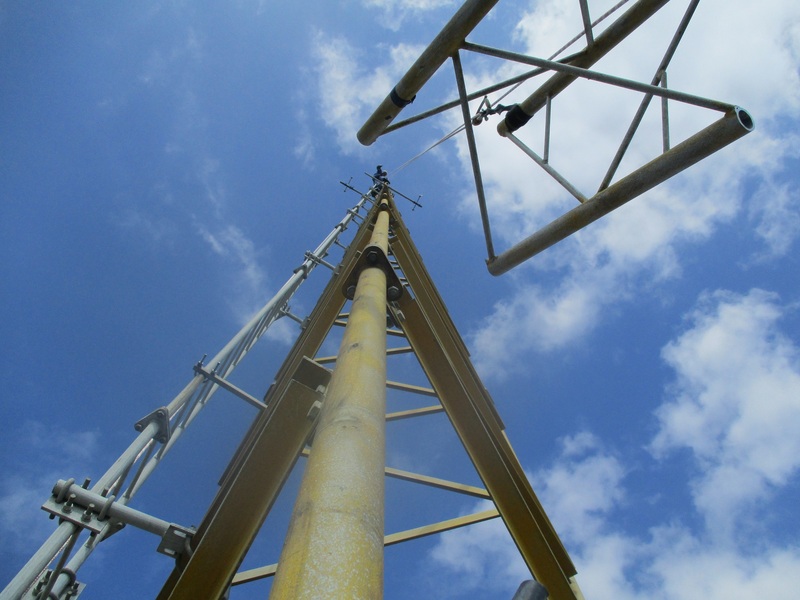 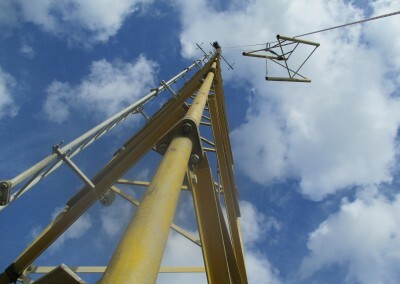 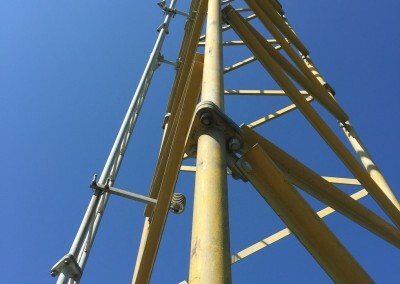 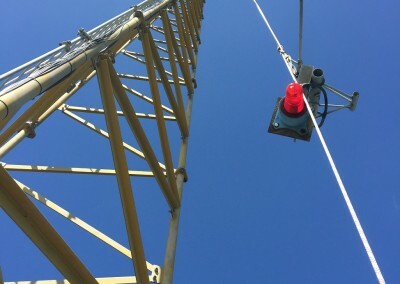 Monitoring any of the critical welds on a wind turbine provides the operators with an early warning indicator. 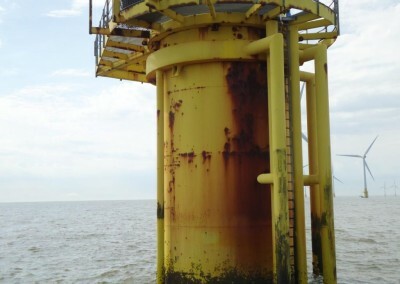 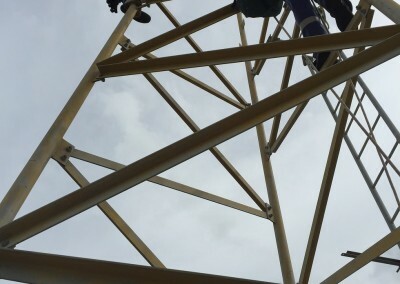 Therefore, if excess stress and fatigue are exerted on the welds and early stage microscopic cracks begin to form, operators, can investigate and take precautionary actions to avoid catastrophic failure of the structure. 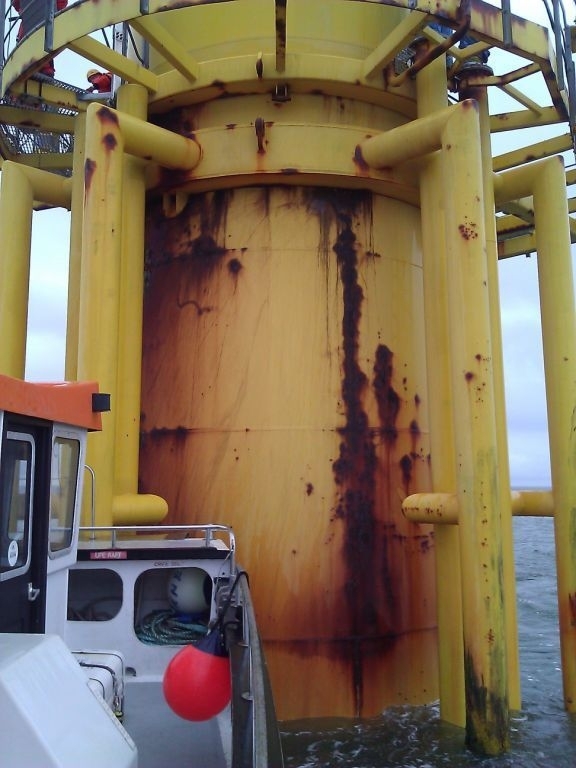 Catastrophic failure of a turbine leading to collapse can be devastating and costly. 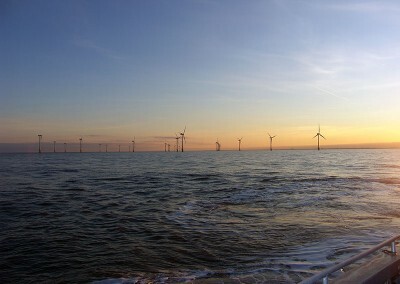 Debris from any such collapse can be scattered over several hundred yards. 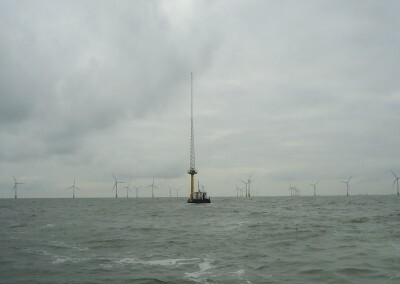 Wind turbine collapse at Northern Ireland wind farm. 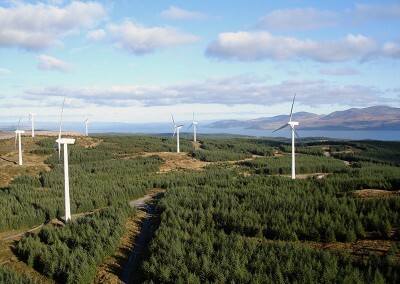 Well documented in the news was the collapse of a turbine in Northern Ireland, showing the extent of the damage that can be caused when these structures fall. 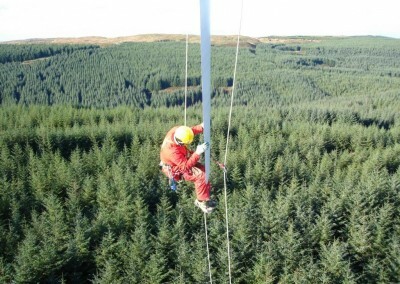 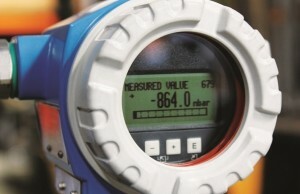 More information on Weld Seam Monitoring can be found here. 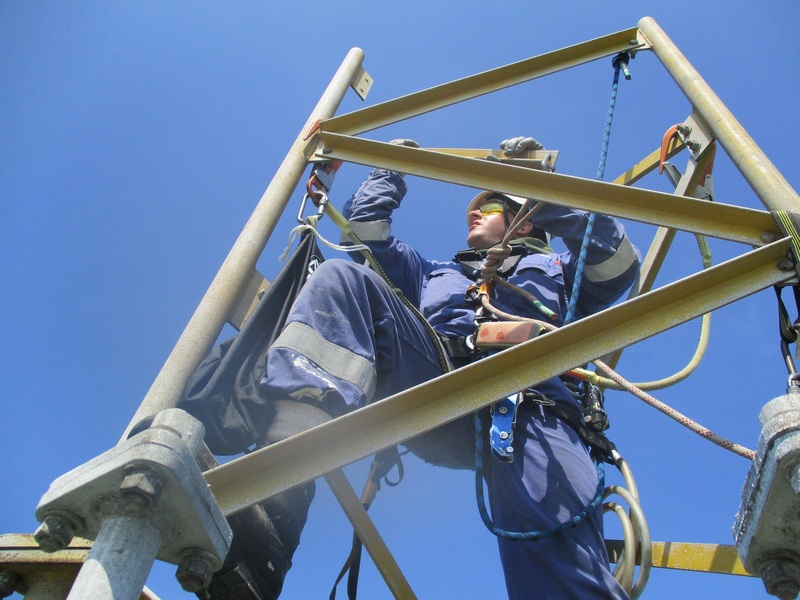 Put your next job in safe hands!